When we reached Beaulieu, the others plodded on while I stopped to take a photo. After all, it really is quite a beautiful place. As I stood still for a quiet moment and took in the view I heard my wife calling me. There was a sound of urgency in her voice. I turned and looked. She was standing on the pavement a couple of hundred feet away. The traffic had stopped. She was looking at me wide eyed, beckoning frantically. She called again. There was something in the road. 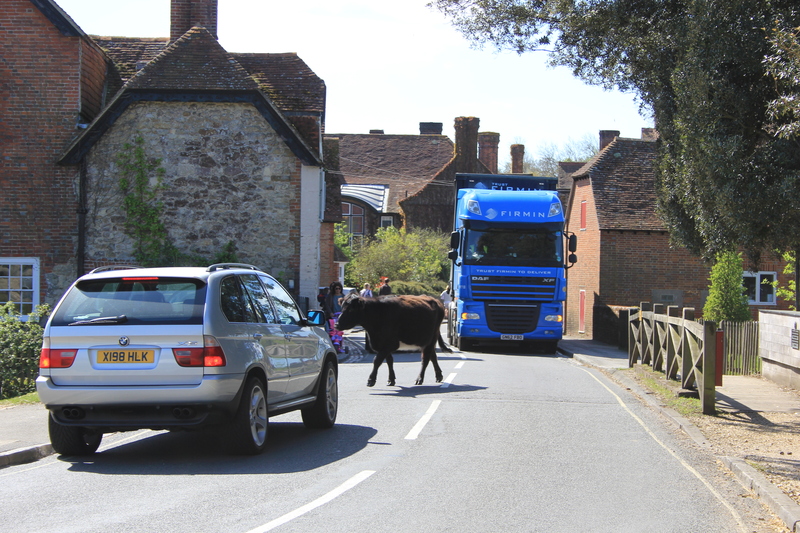 A large lorry was at the head of the queue of cars. I couldn’t see the kids. All of a sudden I realised something was wrong. I sprinted over. My GPS at this point registered 10.9 miles per hour against an average of 2.3 miles per hour over the day as a whole. You can see the spike in the graph HERE. My wife was standing on the pavement to other side of the road. I turned my head in both directions quickly, choosing a small gap in the still-moving traffic on my side and dashing over. Where were the kids? All of a sudden I saw them, standing next to my wife. A flash of emotion pulsed inside me – relief that my kids were safe, yet a split-second, passing sense of anger that there had been any suggestion that they were not. 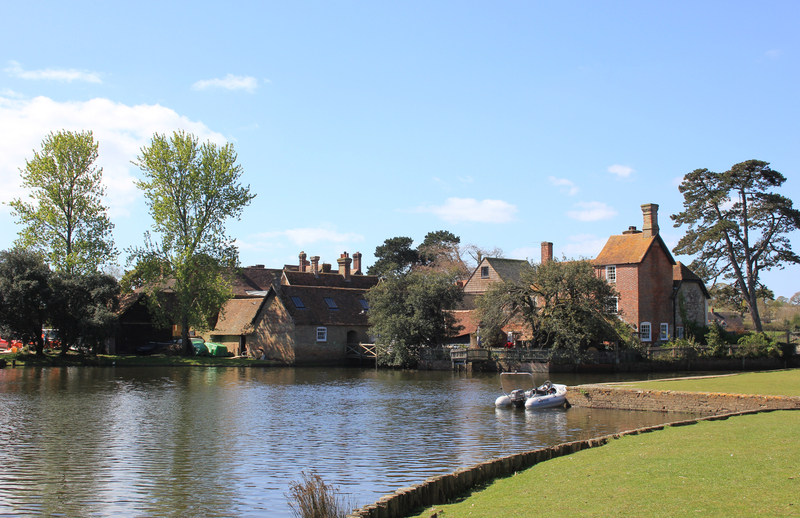 This entry was posted in Hampshire and tagged Beaulieu, coast, cow, fear, Hampshire, New Forest, travel, walking. Bookmark the permalink.